New Color! 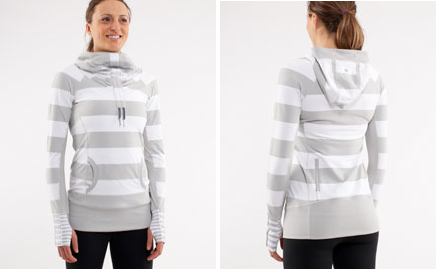 Run Stay On Course Pullover Silver Spoon Stripe and Tadasana Pants are Back! "New! Run Back On Track Pullover Silver Spoon Stripe"
"Most Expensive Home In Vancouver Owned by Chip Wilson, lululemon founder"